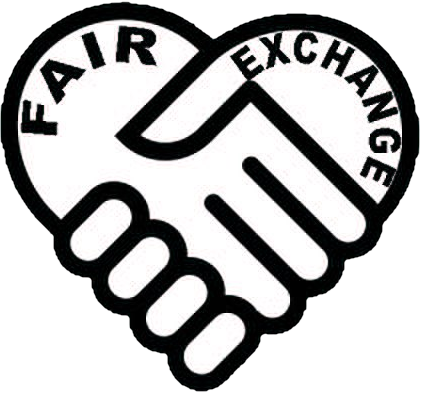 The Fair Exchange: Come to The Fair Exchange Create and Chat the Craft and Social afternoon, fortnightly sessions 2 -3.30pm Thursday 10th and 24th March at The Oulton Institute LS26. Come to The Fair Exchange Create and Chat the Craft and Social afternoon, fortnightly sessions 2 -3.30pm Thursday 10th and 24th March at The Oulton Institute LS26. Come to Create and Chat the Craft and Social afternoon, fortnightly sessions 2 -3.30pm Thursday 10th and 24th March at The Oulton Institute. Most materials provided to start projects .